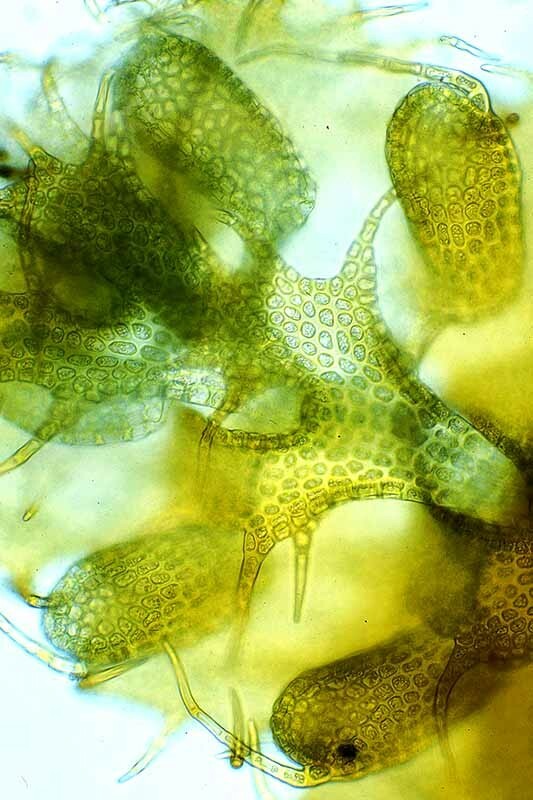 Liverwort leaves are one cell layer in thickness, lack a midrib (nerve) and are arranged in 2 - 3 rows. 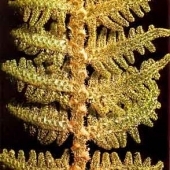 The leaves are often lobed or toothed and may have fine hair-like cilia on their margins or tip.There is a great variety in the way leaves are arranged on the stem, their form and their colour. 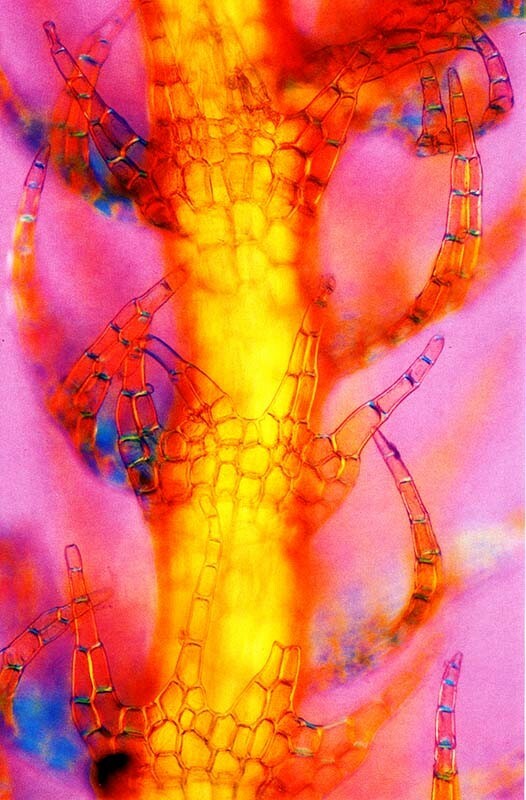 Bazzania adnexa - Seen from below, the stem bears a row of short underleaves above which there are two rows of long, overlapping upper leaves. 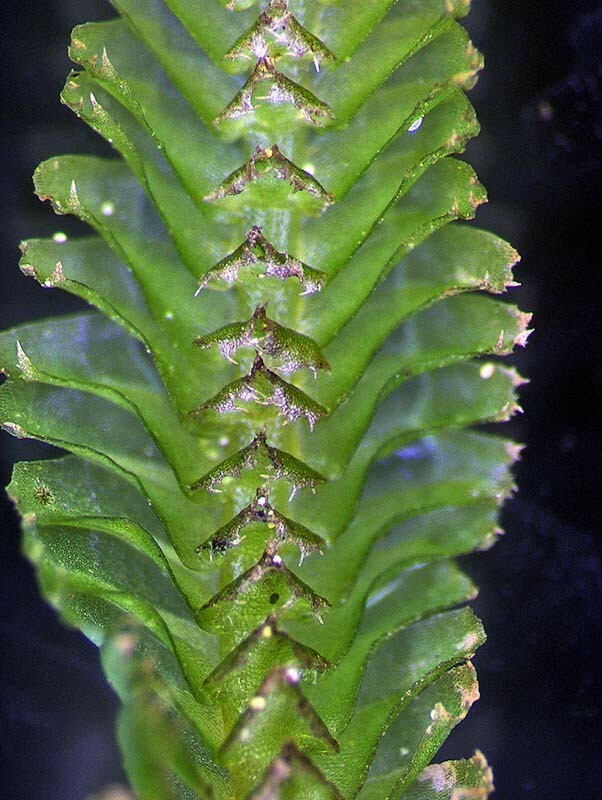 The leaf tips bear small blunt teeth usually in groups of three. 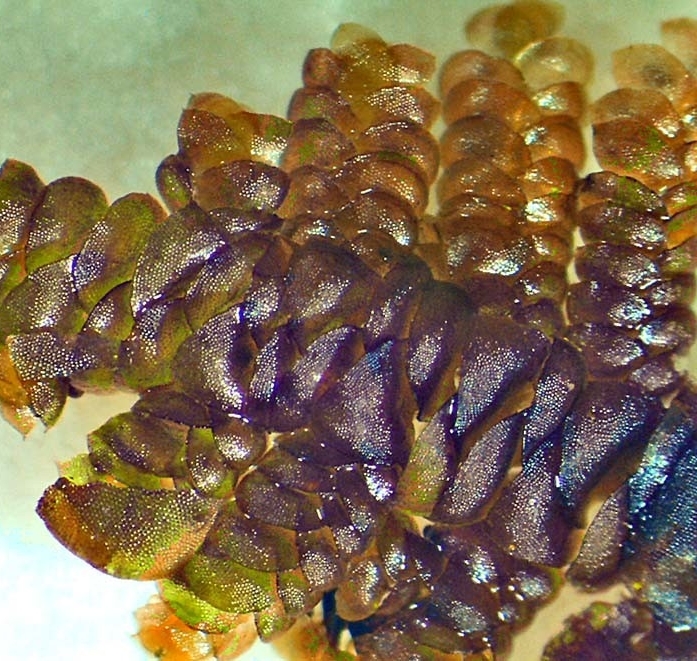 Lepidolaena taylorii - Some liverworts form lobules of various shapes attached to underside of their leaves. 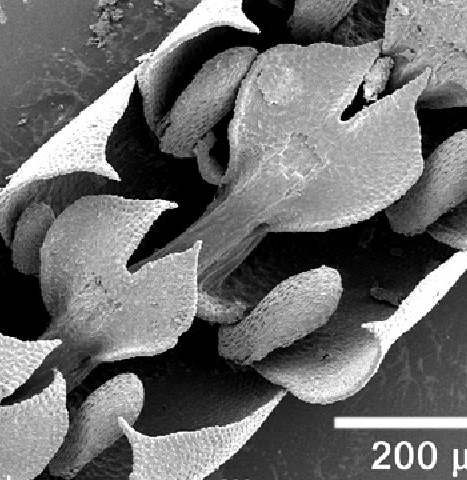 Gackstroemia alpina - The leaf lobules of many liverworts bear cilia (hairs) on their margins. 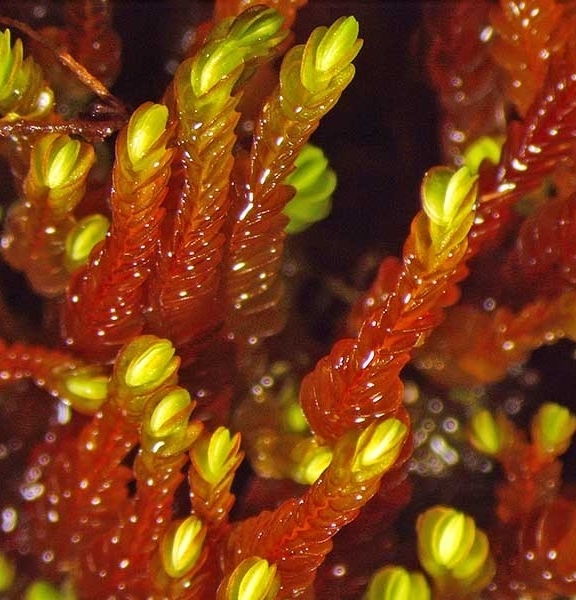 Jamesoniella colorata - A leafy liverwort that commonly has red pigments in its new growth. 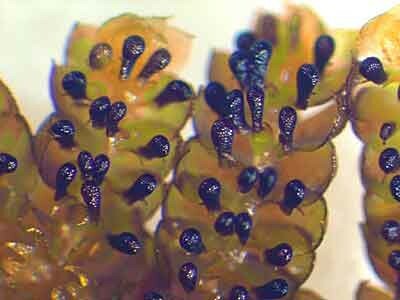 Lepidolaena taylorii - This leafy liverwort often has a very dark pigmentation when exposed to strong light.